The transport of critical goods to Australian industry had been severely affected by the collapse of Ansett and the US terrorism attacks, Logistics Bureau director Maurice Sinclair said today. “Many requests from big companies, in mining, agriculture, manufacturing, are based on access to emergency spares to keep machinery operating,” he said. Mr Sinclair said US-made goods bound for Australia had suffered major delays because of the grounding of all US flights and a backlog of orders was building. Combined with the Ansett collapse, this has severely hit the Australian supply chain. “Failure to procure the goods in a short time frame can cost big companies millions of dollars through loss of production,” Mr Sinclair said. This in turn will require some companies to hold an inventory of high dollar value spares to compensate the “just in case” risk. 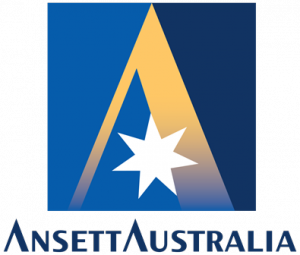 Mr Sinclair said the overnight parcel delivery service market relies on passenger planes, and although Qantas will take on a bulk of Ansett’s deliveries should the freight business not be resurrected, there would be an impact on these services as well. Logistics Bureau is a management consultancy specialising in logistics, the supply chain and e-fulfillment. Logistics Bureau’s portfolio boasts multinational and Australian blue-chip companies and household names, and the company holds strategic alliances with market leaders around the world.